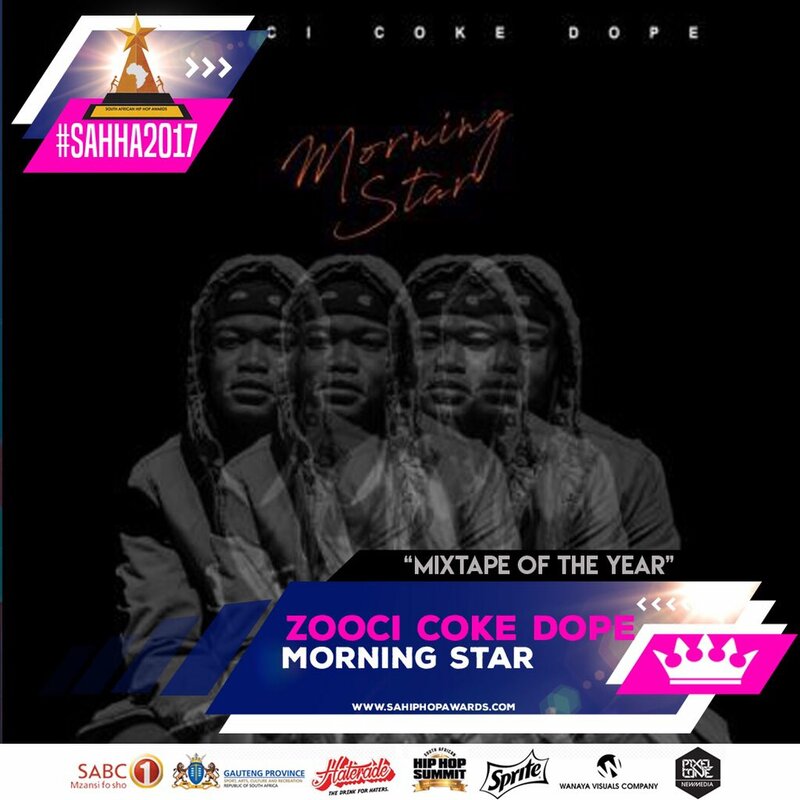 Rising Hip Hop freshman, Zoocci Coke Dope, has bagged 3 South African Hip Hop Award (#SAHHA2017) nominations in the hotly contended categories of Mixtape Of The Year, Freshman Of The Year (Newcomer) and Producer Of The Year. Zoocci Coke Dope’s nominations comes off the back of his recent signing to the Vth Season, one of Africa’s leading Talent Management and Entertainment Marketing Agencies. Zoocci Coke Dope’s nominations for #SAHHA2017 are well deserved and are just testament to the success he has had in 2017, which saw him make inroads in the South African Hip Hop scene and grow his fan base. “Zoocci’s SAHHA2017 nominations are well deserved. In our eyes he is the best producer that has come out of SA this year. He possesses a musical gift far beyond his years and it’s great that the industry has recognised him for the work he has put in. He is definitely a rising freshman to watch,” shares Raphael Benza of Vth Season. Known for his insane hooks and impeccably-delivery of verses, Zoocci Coke Dope has been part of the best hit singles to come out in 2017 which includes chart topping single I Don’t Know by DJ Speedsta. His latest body of work, Morning Star EP, is one of the most downloaded projects on popular entertainment site Slikour On Life this year. With the recent signing to Vth Season, the African music scene can expect a lot from Zoocci Coke Dope going forward as one of the visions of this new partnership is to make inroads on the continent. Keep posted to Zoocci Coke Dope and @VthSeason on social media for new music dropping this week.